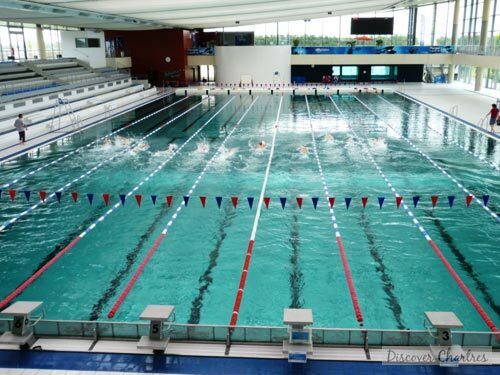 European Swimming Championship 2012 was here! 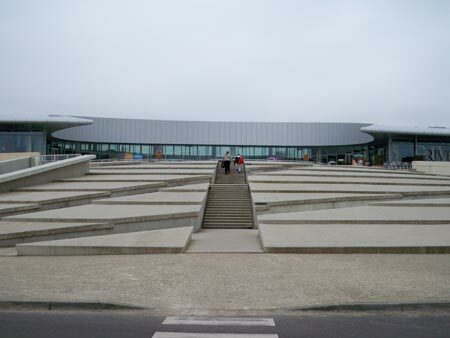 Welcome to the largest aquatic center in France! Chartres aquatic center and ice rank. 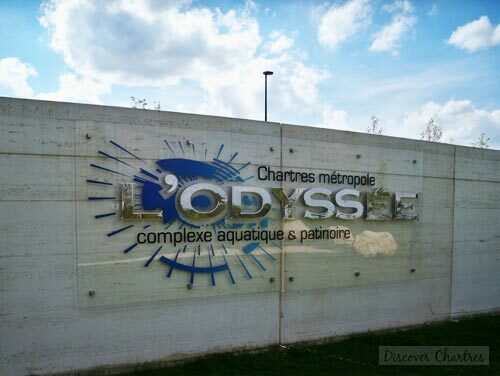 It also known as L'Odyssée has become a new favorite place to have water fun with family and friends. 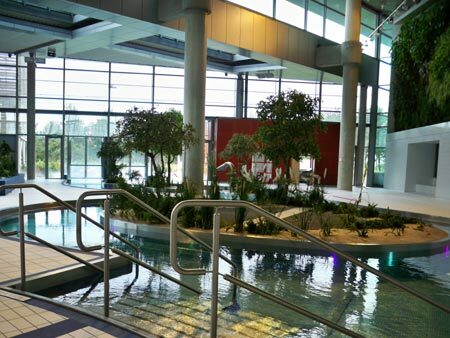 L'Odyssee has several different activity spaces - aquatic space, fitness and aquagym, scuba diving and ice rank. You will see that L'Odyssée is almost always crowded mostly on summer holiday where this complex turns to a beach like - Chartres beach! Sunbathing is absolutely a fun in L'Odyssée! 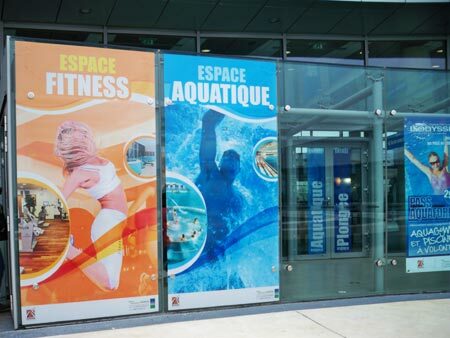 This year in 2012, Chartres is honored to host the European Short Course Swimming Championship, which is of course take place in L'Odyssee. Young children have their own space... although my 4 years boy prefer the deeper pool - he said this space is too shallow for him! Do you see the two signs on the photo? Yep... no running (Watch out for slippery floor!) and no photography...oops! 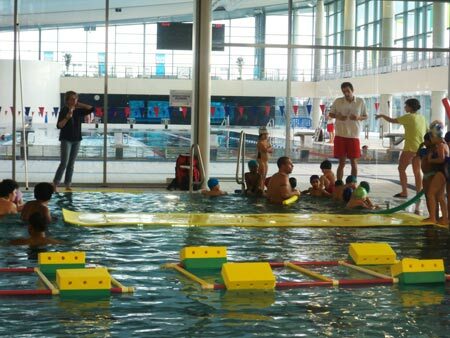 I took those pictures when I accompanied my son's class for the swimming lesson when the pool has no yet opened for public. Now you know why there are no people on the pool. Rivière à courant - the longest in Europe! School days: Monday to Friday from 10am - 4pm and 5pm - 9pm (no interruption on Wednesday); Saturday, Sunday and public holidays from 9am - 7pm. 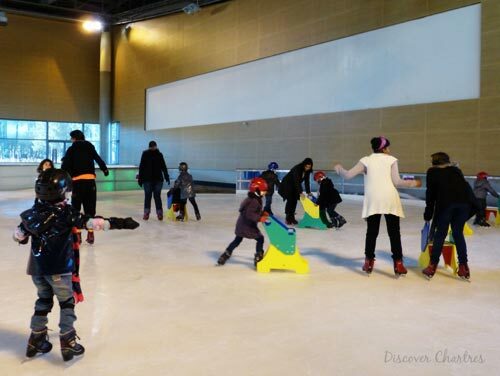 Winter and spring holidays: from 10am - 9pm; Saturday, Sunday and public holidays from 9am - 7pm. Summer holidays: open daily from 10am - 8pm. 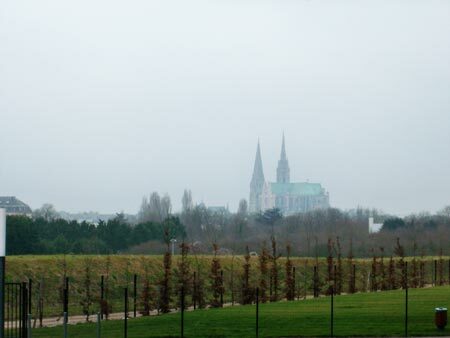 Admission: Adult - 6.50€ (8.50€ on summer), up to 12 years - 4.80€ (6.80€ on summer), free for under 6 years. Sunday and holidays: from 10am - 1pm, 2pm - 6pm. Summer holidays: Tuesday to Sunday from 2pm - 6pm. This service is open daily only on reservation. The price are variable for example 22€ for discovering scuba diving package, 325€ for Open Water PADI and several more. 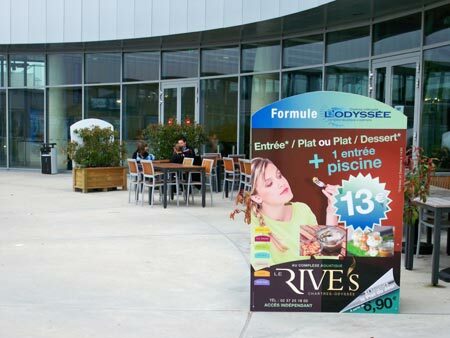 Le Rives - the restaurant in L'Odyssée. 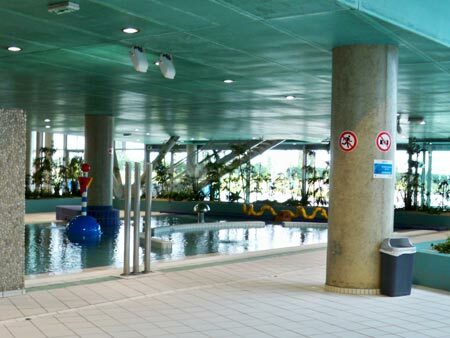 Stop by here after spending the whole day in the pools, they have a special menu plus an entry ticket! 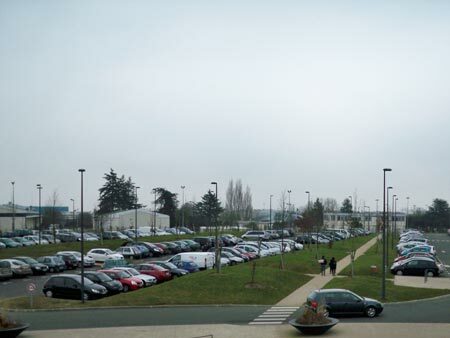 If you are in city center, you should take a public transport - Filibus line 9 direction L'Odyssée. The bus will take you directly inside the aquatic complex area. Take the same bus line to go back to city center.